1. Bracelet size: 8.86''L, 0.87''W. 2. 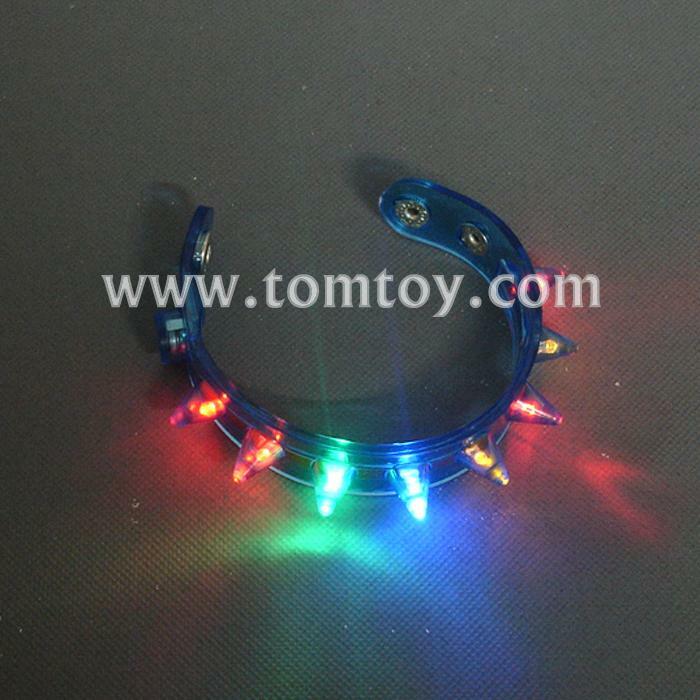 Features 8 flashing multicolor LED lights. 3. Power: 2-CR927 batteries included and installed. 4. Switch on the on/off button to start flashing, switch off to turn off lights. 5. Perfect for nightclub, disco, bar, party, music concert, and other night outdoor sports cheering.